After listening to a debate on the topic of "Theism vs. Atheism" recently, I was struck by some of the questions and assertions from members of the audience. Several of them were along the lines of "I can't believe in God because of Science." What struck me was that often it wasn't science that was getting in the way, but rather certain misconceptions about science that have become widely believed by nonscientists and have been stated by some scientists. These myths about science are often brought up as arguments against a belief in God, and they form an artificial barrier to belief in God. I say that they are artificial because many scientists are in fact Theists and have found that science offers no true barriers to such belief. I have found this to be true in my work. In its reports on science, the popular press seems obsessed with presenting things as (1) totally new, and (2) totally solved. After seeing work done by our group in nanoscale science described in several articles and a few television shows, I was dismayed by the amount of distortion present in the final pieces. Judging from its reporting, the popular press is also obsessed with controversy and does not seem to be above stirring it up where it would not otherwise exist just for the privilege of being able to report it. This may explain the genesis of the first myth, that science has explained everything (and thereby excluded the possibility of God). Scientists seem largely immune to the illusion that science has explained everything. This is quite evident by even a brief perusal of the future work sections of journal publications or the expanding number and breadth of requests for funding each year. By taking a look at two recently-funded projects and at current developments in cosmology, we get the clear picture that science is still struggling with some very basic questions: What is gravity? What was the Big Bang like? What is most of the Universe made of? 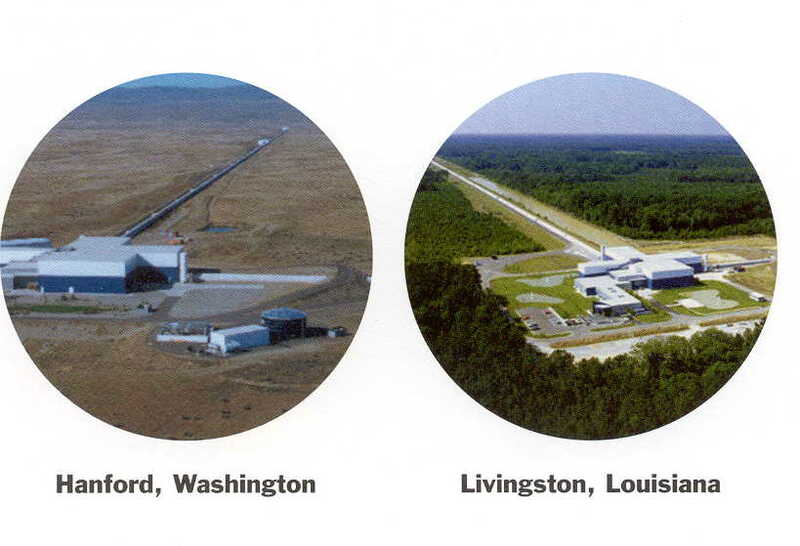 The Laser Interferometer Gravitational Wave Observatory (LIGO) has been built and operated with NSF funding at a cost of $365,000,000 (2002 U.S. dollars). As of September 2006, there were 524 scientists listed as scientific collaborators on the project. LIGO's mission is to directly observe gravitational waves of cosmic origin. Such gravity waves are predicted by Einstein's Theory of General Relativity, but they have not yet been directly observed. Please note that I am not trying to argue that gravitational waves do not exist. I am simply pointing out that there is a lot of time, money, and scientific effort being spent to observe them. 524 scientists believe the question to be in sufficient doubt to spend their time studying the question. The nature of gravity, a basic part of everyday experience, is not yet known. LHC: What was the Big Bang like? The Large Hadron Collider (LHC) is currently under construction at CERN at an estimated cost of $8,000,000,000 (2006 US dollars). The LHC is a particle accelerator and collider that is being funded and built in collaboration with over two thousand physicists. It is designed to smash two counter-rotating beams of protons or heavy ions into each other. The LHC outreach home page describes its mission as: "To smash protons moving at 99.999999% of the speed of light into each other and so recreate conditions a fraction of a second after the Big Bang. 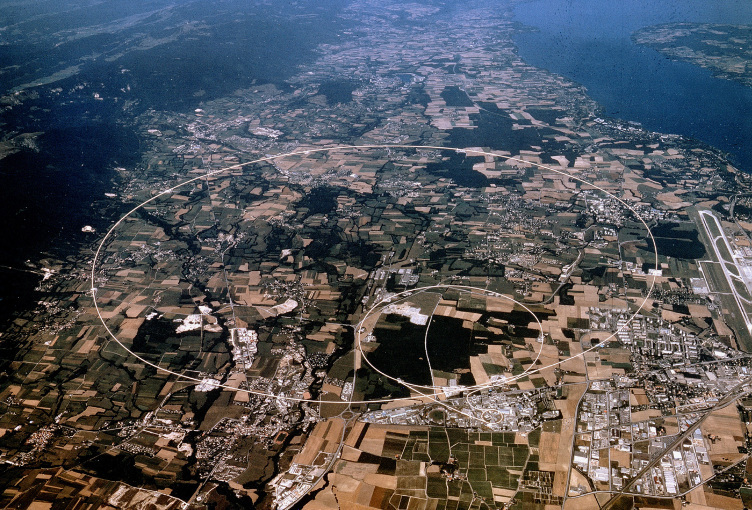 The LHC experiments try and work out what happened." Dark Matter: What is most of the Universe made of? What is dark matter? Nobody knows. It neither emits nor reflects enough electromagnetic radiation to be detected directly. One current favorite theory proposes the existence of hitherto unknown elementary particles. It turns out that there is additional tuning necessary to explain other observations, such as why the Universe appears to be expanding at an increasing rate. Dark energy has been proposed to explain this. What is dark energy? Nobody knows, but it's not dark matter. One theory proposes that it is a uniform field of a hitherto unknown type of energy that permeates all space and produces a negative pressure. Another is that it is a hitherto unknown dynamic energy field that varies in time and space. It should been noted that dark matter and dark energy may serve mainly as expressions of our ignorance, much as the marking of early maps with terra incognito. It may be that these are imaginary substances produced by false predictions based on an incorrect understanding of gravity. This usually comes phrased as "Maybe science hasn't explained everything yet, but it will." This is obviously a faith statement, but I don't want to attack it on those grounds. Rather, I want to point out that the statement relies on the more basic assumption that science can explain everything. That is the myth that I want to expose as false here. For any consistent formal theory that proves basic arithmetical truths, it is possible to construct an arithmetical statement that is true but not provable in the theory. That is, any theory capable of expressing elementary arithmetic cannot be both consistent and complete. For any formal theory T including basic arithmetical truths and also certain truths about formal provability, T includes a statement of its own consistency if and only if T is inconsistent. These quite astounding results mean that even for very basic and abstract topics such as logical proofs about arithmetic expressions, it is not possible to form a theory that is both complete and consistent. There are statements that are true which are not provable by any consistent formal theory. This makes it quite unsurprising that it is impossible to use such a logical system to explain everything. Physics and other sciences attempt to provide descriptive and predictive formal models of natural phenomena. These formal models often take the form of mathematical equations, often differential equations. These equations are too complicated to be solved by hand, so they are often approximated and solved using computer programs. One of the consequences of the incompleteness theorems is that it is impossible to write a computer program (which performs formal symbolic and arithmetic manipulation) that will definitively determine whether every statement is true or false: there will either be true statements that cannot be proven or there will be false statements that are incorrectly marked as true. It may be that Gödel's theorems are inapplicable to science in general because we leave ourselves free to prove things in ways that go beyond first-order logic. Even so, we are left with a quite serious problem when trying to claim that science can explain everything. Let me back up and come at this issue very carefully. Let me start by describing what current scientific theories state about the limits on what can be known. I will then state what I believe science will be able to explain. Then I want to state the myth in its most direct form and show that it makes no sense. In 1927, Werner Heisenberg discovered the famous uncertainty principle, which is now one of the cornerstones of quantum mechanics. It states that one cannot simultaneously know both of a pair of certain physical values with arbitrary accuracy. The most familiar of these pairs is position and momentum. This means that we cannot precisely measure both the position and the velocity of an electron at the same time: the more certain we are about its position, the less certain we must be about its velocity. It isn't merely the case that we have not yet developed sufficiently-sensitive instrumentation; the principle states that it is impossible to build instrumentation that can measure both simultaneously. One interpretation of quantum mechanics holds that features of the Universe that are not being observed (electron locations, velocities of atoms, light transport) actually exist with multiple values at the same time. When one of these features is observed, it jumps to a single physical value. After it has been observed, it again drifts into multiple simultaneously overlapping values, sort of blurring out, until it is observed again. It is as if (at very small scales) the question "If a tree falls in the middle of a forest and nobody hears it, does it make a sound?" is best answered by "The tree is actually both still standing and fallen with some mixture of probabilities that won't be known until someone goes and looks at it. When they do go and look, if it is fallen then it will have made a sound. If nobody ever looks, the tree remains in both states forever." If quantum mechanics is correct (it is very likely to be because it is supported by many experiments and has correctly predicted results even stranger than those listed here), then our knowledge about the Universe is limited to (1) those things we have observed, and (2) probability statements about things that we have not recently observed. When we aren't looking, the Universe is free to reshuffle things, so long as they all come out consistently when we look the next time. I believe that given enough time and resources, scientists would be able to form a set of mathematical models that describe how the matter and energy (and dark matter and dark energy) behave in time and space (including any necessary warpings of time and space) in the absence of external forces. That is, how the Universe behaves in the absence of interference from things other than matter, energy, time and space. Because of the uncertainty principle, science will only be able to explain this behavior up to a set of probabilities. At the scale of human beings, these probabilities can often be quite accurate because they involve averages over large numbers of such probabilities. At the level of subatomic particles, they cannot be accurate for features that are not continuously observed. Side note: The uncertainty principle, combined with the fact that many systems in nature are chaotic (infinitesimal changes in their initial state cause huge changes in their final state), means that an agent outside the Universe that had the power to control unobserved states could effect huge changes on the Universe in a manner that would be undetectable by those of us living in it. This does not prove that there is such an agent: the fact that such effects could be happening does not mean that they are happening. It merely means that such an agent could exist and remain undetectable by scientific experiments. The problem comes when we declare that science is in a position to make claims about things other than matter, energy, time and space undergoing their normal operation, in particular that "There is nothing outside of matter, energy, time, and space" or that "Nothing can happen other than the things described by the laws of science as currently expressed." These are faith statements which cannot be derived from observations about the natural world as it is normally operating. Their opposites could be derived from observation -- if previously undescribed phenomena were found. Indeed, scientific progress is made when new observations disagree with current theory. That is how the subjects of dark matter and dark energy appeared. One thing that will be difficult for science to explain is the set of laws of nature that it has proposed. Pick any one, perhaps the law that says "Every object in a state of uniform motion tends to remain in that state of motion unless an external force is applied to it." This law is a statement about the behavior of matter, energy, time, and space but it is not itself composed of matter or energy nor does it occupy space. It is not affected by the passage of time (the assertion is that it is true for all times). It can be translated into many languages, so does not depend on a particular arrangement of sounds or symbols. I am not at present worried about whether the law itself is true or false, merely about its existence. To be sure, when I am thinking about the law it involves the movement of chemicals and charges in my brain and these motions could be said to be operating under the law. Any written statement of the law involves such things as well. But the law itself exists beyond any of these. The destruction of the Universe would not end the law, only all of the subjects upon which it operates. At this point, we reach a fork in the road. On the one hand, we can assert that the laws of science are outside of matter, energy, time, and space. This assertion is as explosive to the myth as Gödel's incompleteness theorems are to first-order logic, and for similar reasons. Any formulation of science must fall short of explaining everything because it cannot explain itself. Think of the annoying three-year-old you know who just keeps asking "but why?" to every answer you give to a simple question. If the child persists, this goes on until you give up and reply "because I said so" or some other dogmatic, non-explanatory answer. On the other hand, we can assert that the laws of physics (and other so-called abstract concepts) exist only so much as they are tied to actual physical states (physicalism), and that they therefore do not need to be separately explained by science. This leads us to regard our very reasoning as representable by a collection of chemical and electrical states that were arrived at through evolutionary processes which were selecting for adaptability rather than for truth. As described in the last section of the Stanford Encyclopedia of Philosophy article in Religion and Science, this leads to a refutation of the ability of reason itself to guide us to the truth. So whichever fork we take, science is unable to explain everything: either it cannot explain itself (and so leaving open the question of what else it may not be able to explain) or it shows reason and therefore the scientific method itself to be an unreliable source of explanation for anything at all. This essay is intended to lift the level of the discussion to that of any reputable philosopher; it was written in reaction to the fact that many people in the audience I was part of did seem to believe one of these myths. The essay is not intended to address any of the issues of genuine contention between science and theism. My Comments on The Blind Watchmaker article addresses the natural selection issue. The essay also is not intended to prove the existence of God. I find the most compelling evidence for this to be historical (issues relating to the miracles, death, and resurrection of Jesus Christ) and experiential (the peace, forgiveness, and freedom from the power of sin I've found since turning my life over to him) rather than philosophical. I did not come to believe in God and his promises because I was unable to explain the normal workings of the world in some other way, but rather because of my inability to explain the miracles of Jesus and his impact on his followers in any other way.